Balsamiq is an online service that allows you to increase productivity of your work by forming tightly connected collaboration networks with your external clients or remote teams. With it you can easily create new projects, define layers of work, invite people to to join with multiple levels of accessibility, and much more. 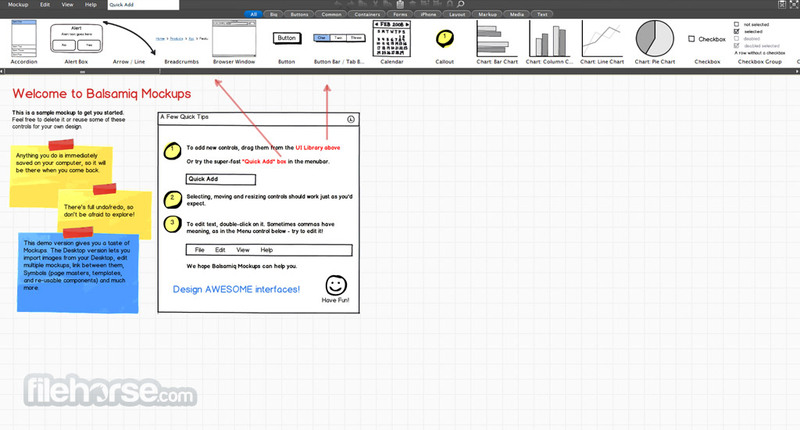 Balsamiq is a great web-based mockup tool! Don’t think that projects you start are fixed, because Balsamiq’s powerful tools enable you to create interactive prototypes, proposals that can be edited or rolled back to previous versions, and more. Nothing of this will work without real-time collaboration. 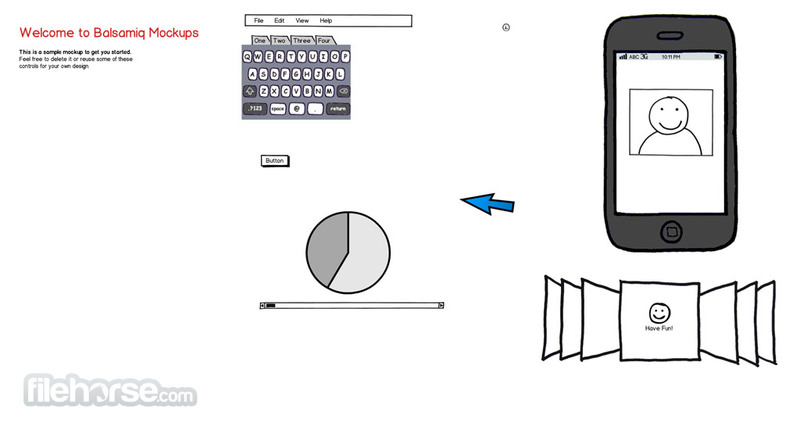 For that purpose Balsamiq has integrated support for Skype, RSS feeds and mobile devices. All the sketchy wireframing features of Mockups, but made for teams. Create Projects to organize your mockups and invite collaborators. Real-time notifications keep your team aware of changes on your projects. Your linked wireframes integrate easily with 3rd party usability testing services. Revision history lets you view the decision making process with each iteration and review. Every project is also an email list, so you can communicate on and off-site. If your team is on Skype, call them up, or start individual or group chats right from the Project Members Menu. Create an extranet and invite staff, contractors, and clients to view and collaborate on projects. Simple access controls to create private projects, or open them up to guests. 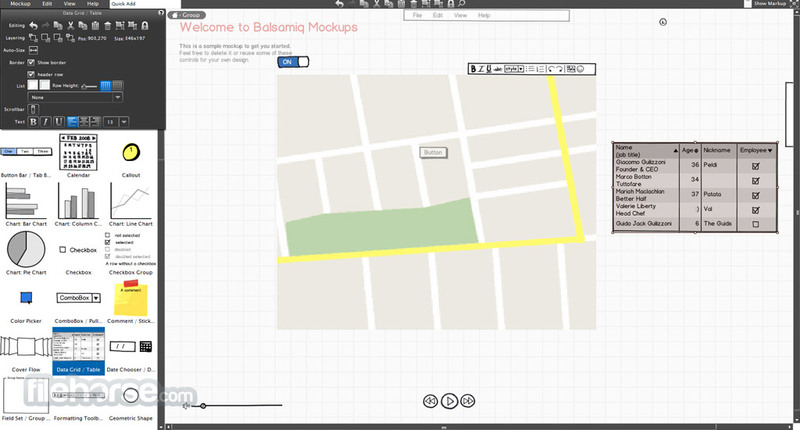 Balsamiq is an amazing free mockup tool! Start with a Personal plan or work your way up to an unlimited Enterprise site. They sky is the limit.